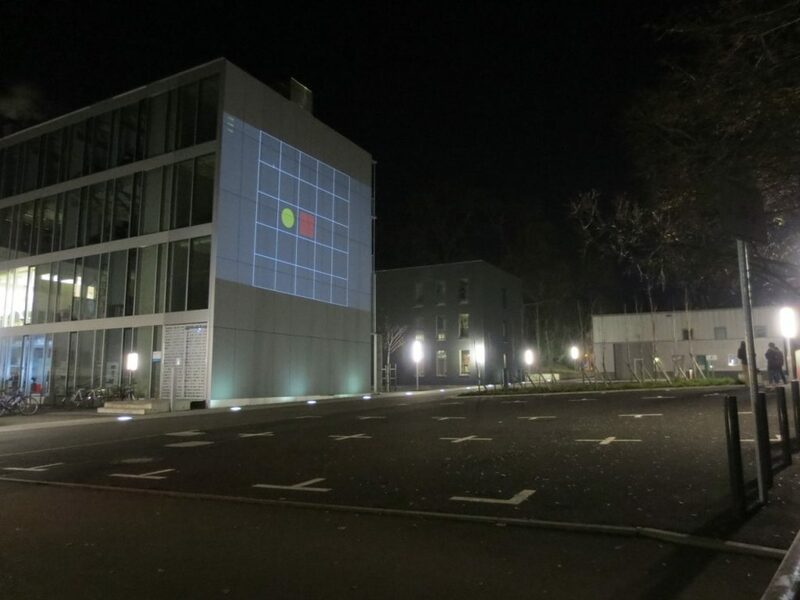 The pur­pose of this rese­arch is to inves­ti­gate the influ­ence of an envi­ron­ment on User Expe­ri­ence (UX) while using an Inter­ac­tive Media Façade. 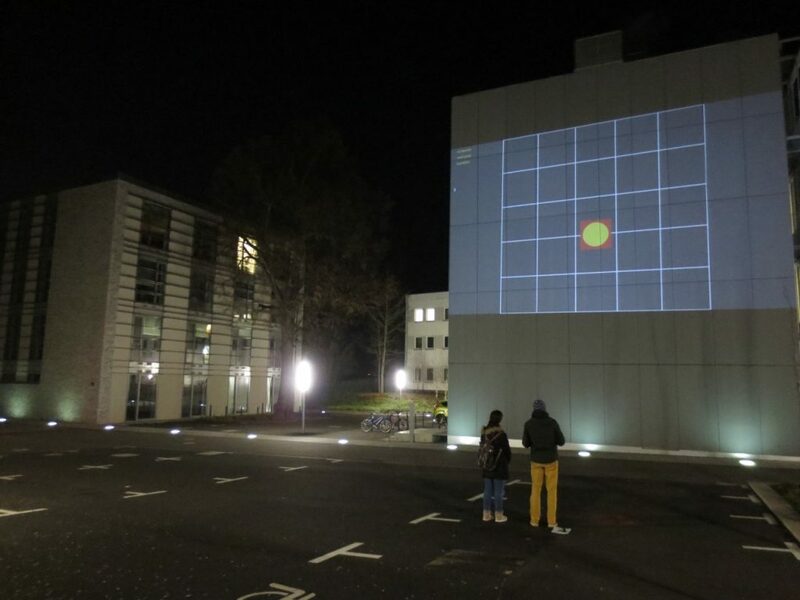 A most dis­tin­guis­ha­ble pro­blem is to iden­tify and evi­dence the effect of a posi­tion, distance while viewing the dis­play on a large media façade by means of selec­tion tech­ni­que. To find out the effect of spa­tial posi­tion on UX quan­ti­ta­tively, the study design is based upon Attrak­Diff ques­ti­onn­aire, which mea­sure prag­ma­tic, hedo­nic and over­all attrac­tiveness. 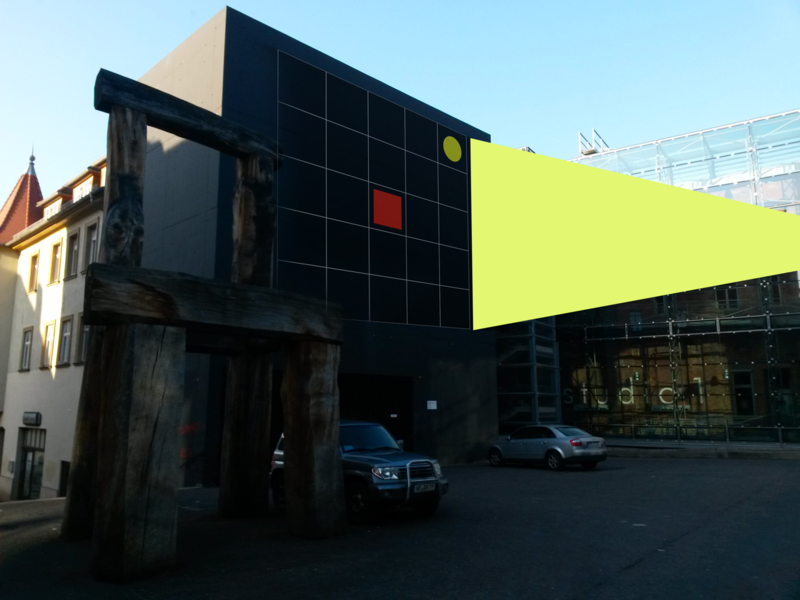 A Couple of user stu­dies will take place in the courty­ard next to the Digi­tal Bau­haus Lab (DBL) of the Bau­haus Uni­ver­si­tät Wei­mar and in the Gar­den of Bau­haus-Ein (B1) respec­tively. A large image pro­jec­tion will be made on the big façade in an open envi­ron­ment. The Inter­ac­tion space will lie in front of the inter­ac­tive media façade. In con­trast to other stu­dies where the inter­ac­tion is car­ried out from a sin­gle­ton inter­ac­tion space; this study divi­des spa­ti­ally the Inter­ac­tion space into 6 spa­tial posi­ti­ons e.g. 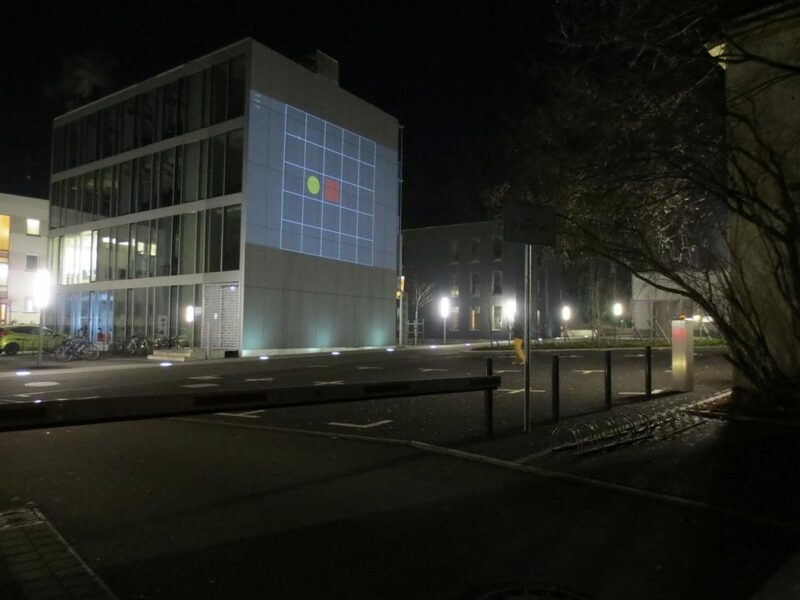 Sam­pling Points, which are arran­ged in front of the façade such that a user per­cei­ves the pro­jec­tion-sur­face as a part of the 3D buil­ding. A goal ori­en­ted task will be dis­play­ing on the big façade, and a weara­ble arm­band ges­ture reco­gni­tion device will poten­ti­ally carry out the inter­ac­tion with the Media Façade. The par­ti­ci­pants in the stu­dies will use an inter­ac­tion tech­ni­que to allow them to select an object on a screen and move it some­where. Each user is tested against 6 sam­pling points and their respon­ses to the inter­ac­tion and their per­cei­ved expe­ri­en­ces will be noted using Attrak­Diff ques­ti­onn­aire. This data will then be ana­ly­zed and then later inter­pre­ted based on tech­ni­ques deri­ved from simi­lar stu­dies wit­hin the field of qua­li­ta­tive ana­ly­sis sur­roun­ding expe­ri­ence and inter­ac­tion. From this a con­clu­sion will be drawn from the participant’s data. © 2019. Bauhaus EINS Weimar e.V.